If the opportunity met two out of the three criteria, I did it. My first post “Information Is the Least of It” was published on the third day of this blog. In many respects it is shameless self-promotion, but hey, I assumed that it was allowed, part of the deal. Looking back, I realize how much courage is needed to start something and Linda certainly faced rejection early in her enterprise. Recently I saw this hilarious and strikingly insightful video about what it takes to get something off the ground:. In hindsight, I see that I was a first follower of Linda. But, in July of 2009, I became the shirtless dancing guy when I woke up one morning with the idea of organizing the community of authors who contributed to the I.N.K. blog into a company called iNK Think Tank. 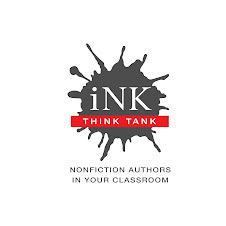 The mission of iNK Think Tank is to get nonfiction literature into classrooms; to educate the world about our genre. To this end we provide a free database, which helps teachers and others find books on subjects that can fit into curricula. Last month, without promotion, we had 500 new registrants for the database and the site is averaging about 5,000 visitors a month with a high of 8,000 last November.. But our books are still excluded from most classroom work. There are all kinds of reasons for this. Some of them include the fact that there is the hegemony of textbooks as the source of content, the notion that the quality of writing doesn't matter as long as the subject is “covered,” and that efficiency in education means that everyone is literally on the same page often at the same time. (A text book is not the Bible!) Teachers do not know our work by our name and it would help if we defined ourselves by brand.. In fiction, the author’s name becomes the “brand” because the name is used to catalogue and shelve the books. In nonfiction, we are cataloged and shelved by subject matter. At a time when the CCSS require that 50% if all reading in elementary school and 75% in high school be nonfiction, teachers still don't know about our books. And, according to Roger Sutton, this demand for nonfiction reading is not translating into more nonfiction publishing. iNK is not going to take this situation lying down. Alexandra Siy gave us an idea on how to get our literary foot in the classroom door. Again, I’m in the familiar role of first follower taking Alex's lead. This summer iNK is launching a program for students, called the Nonfiction Minute, of very short (400 words max), stand-alone entries, which teachers will be able to use in their classrooms to introduce students to top nonfiction authors. The writing will showcase the many voices and topics that fuel our passions. For the moment, we will offer the Nonfiction Minute free. I have every confidence that we’ll learn a lot and it will lead someplace. I'm still walking the path Linda Salzman started me on so many years ago. As this I.N.K. blog becomes an archive, I can only say a heartfelt thank you to Linda. iNK Think Tank would not exist if not for you.